Hedgehogs have suffered a serious decline in numbers and we can help their survival by encouraging them into our gardens providing shelter and food. 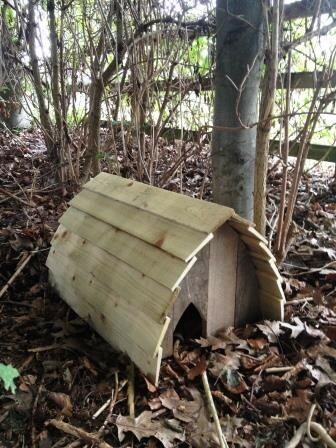 This sturdy hedgehog box is made from recycled wood and should last for years and provide a home for many hedgehogs. 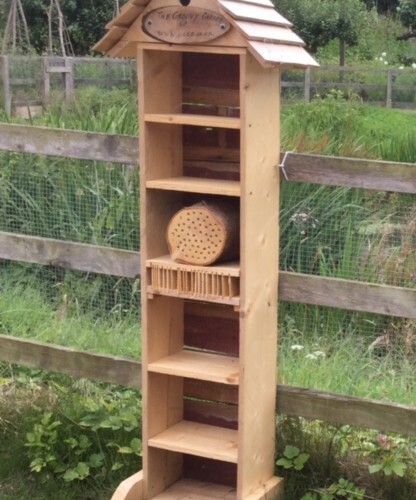 There is an internal partition (baffle plate) to ensure the hedgehogs are protected from the worst of the winter weather and opportunistic predators through their hibernation period, with plenty of room for more than one hedgehog. 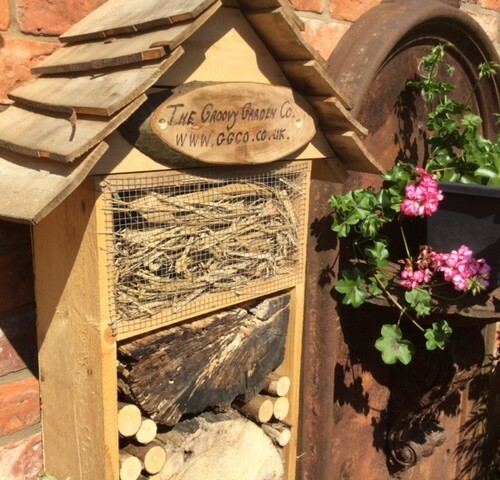 GGCO will donate 10% of all hedgehog box sales to the Andrews Hedgehog Hospital, based in Rowlands, Lodge Farm, Appleby DN150DB to help with their valuable work conserving these wonderful creatures. Due to their weight we have added these as collection only, but they can be reserved and picked up from either our base or one of our craft fairs, please get in touch if you would like to do this.